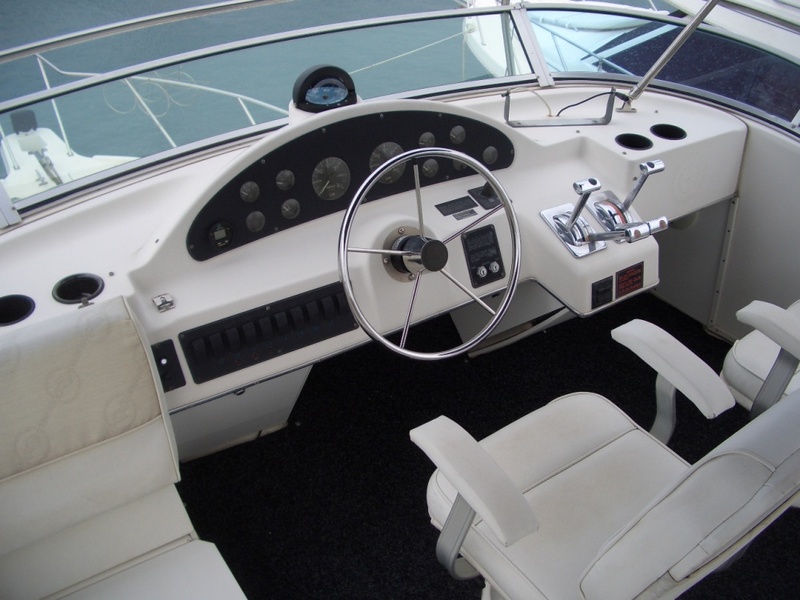 This yacht reached in the ground power a speed of 6 knots and can be driven with low fuel consumption thus also as a displacer. 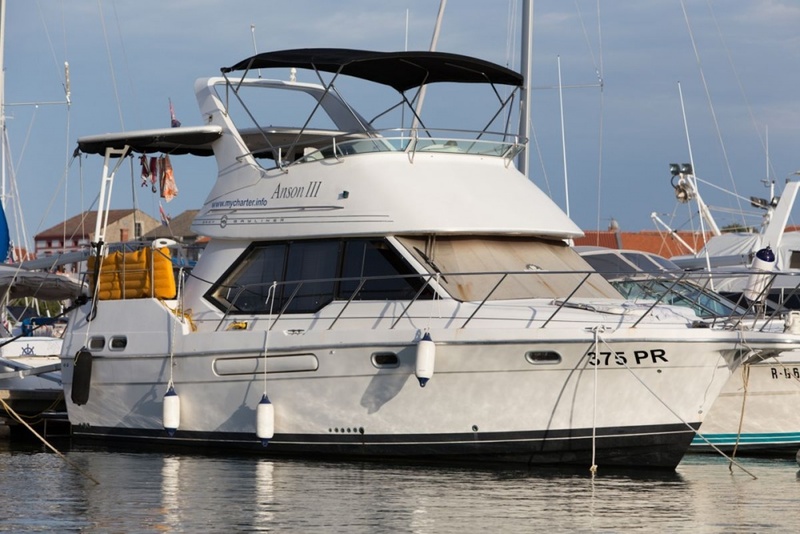 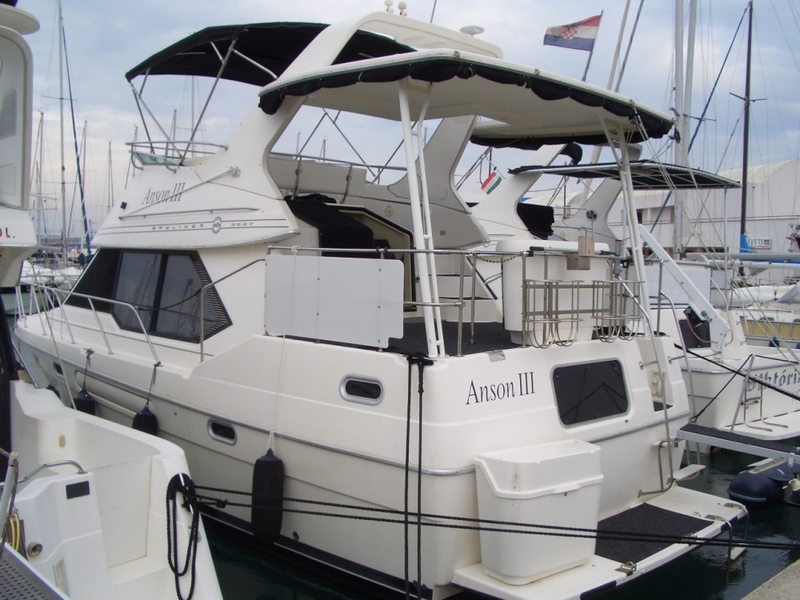 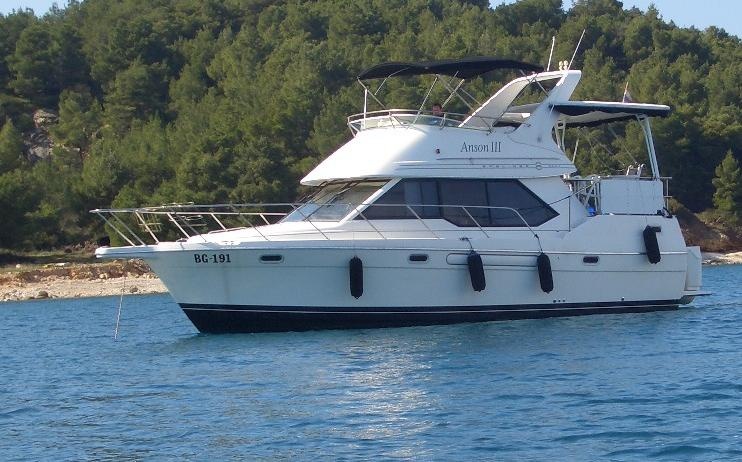 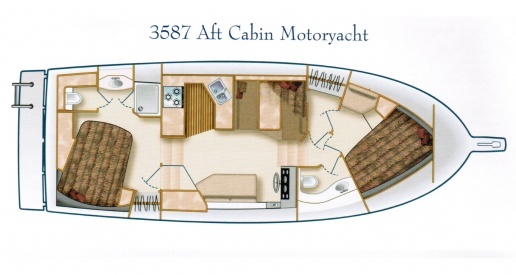 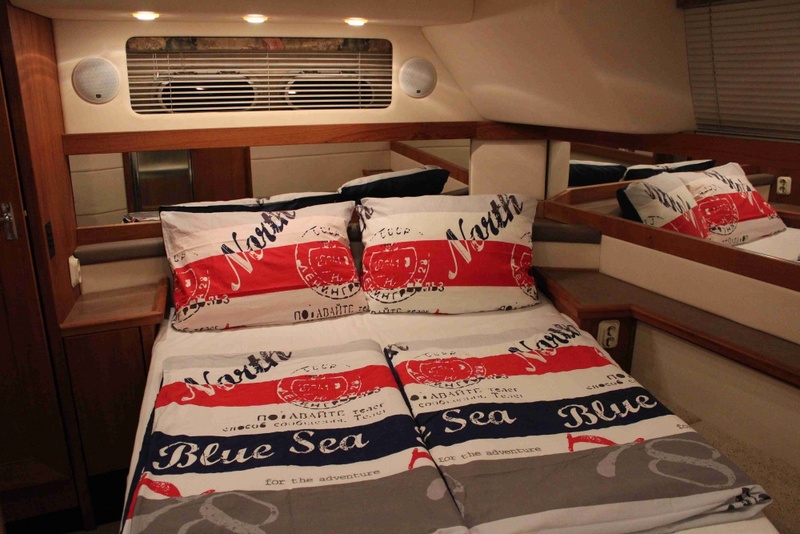 The motor yacht ANSON III is a comfortable and spacious half glider for up to 9 persons. 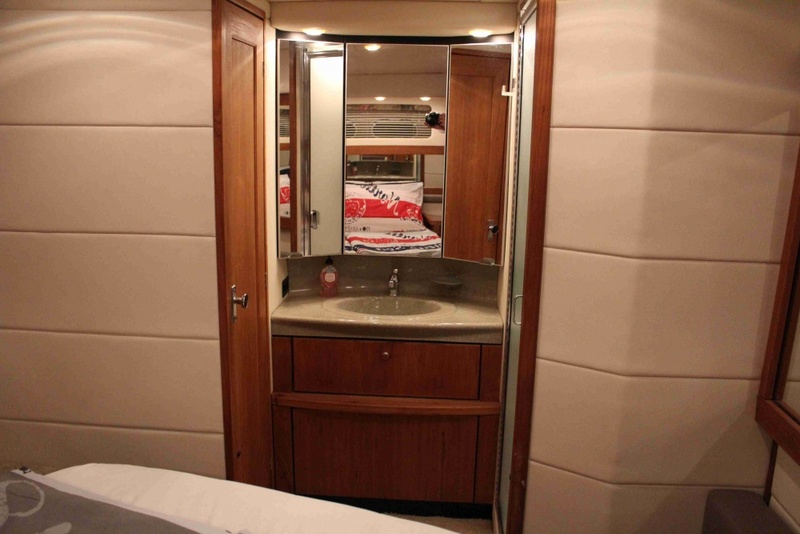 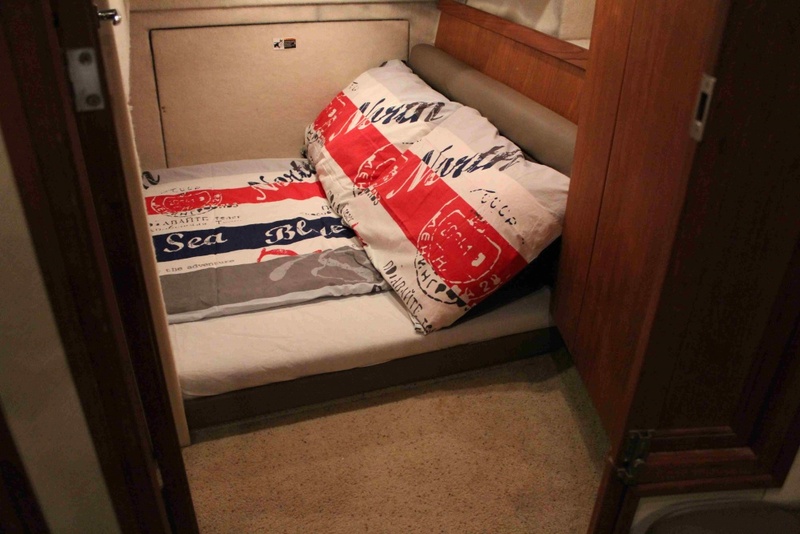 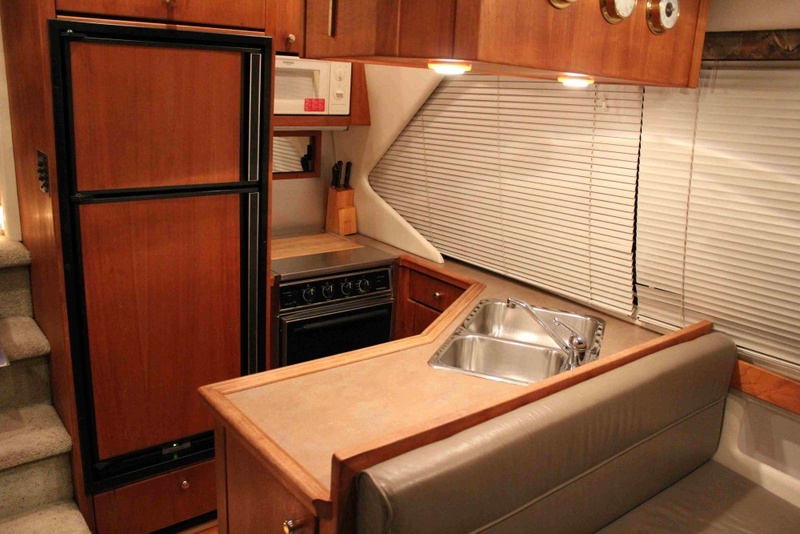 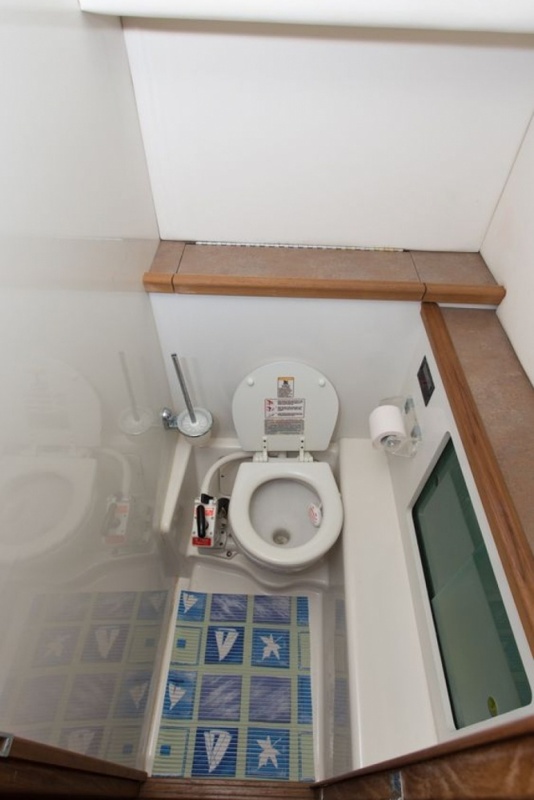 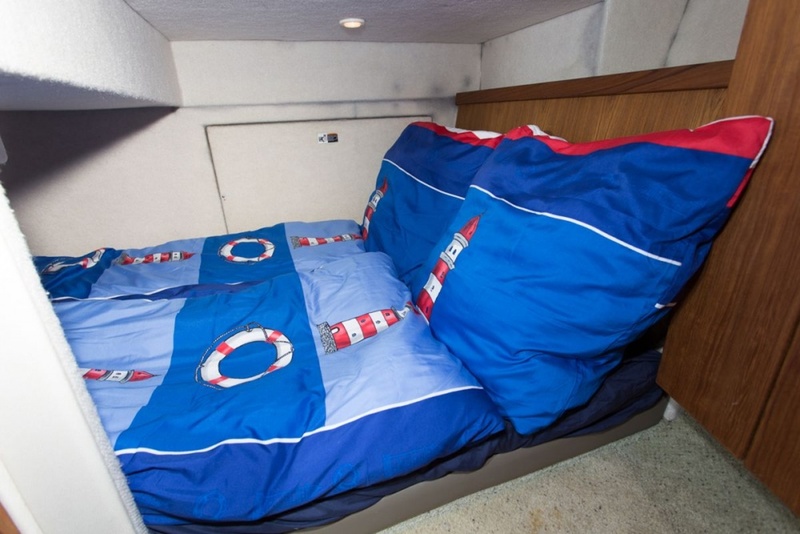 The big aft cabin with incorporated separate shower and toilet cabin is located at the tail. 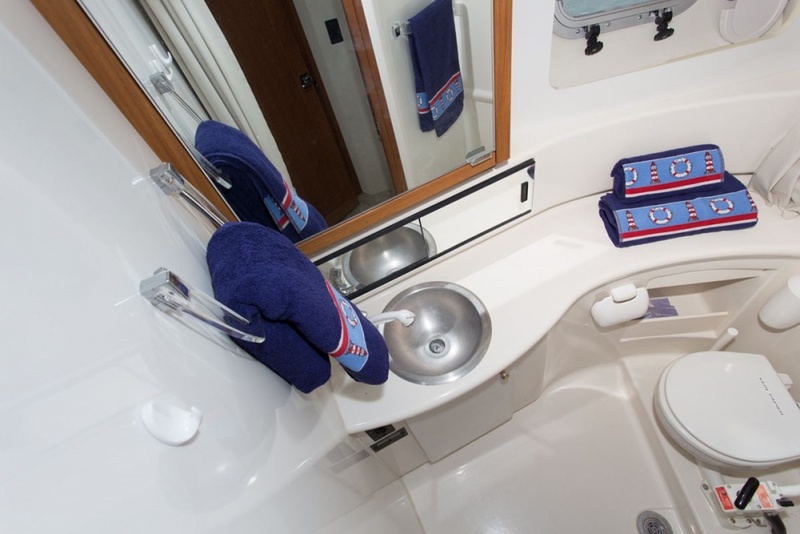 Another combined shower and toilet cabin can be found at the bow. 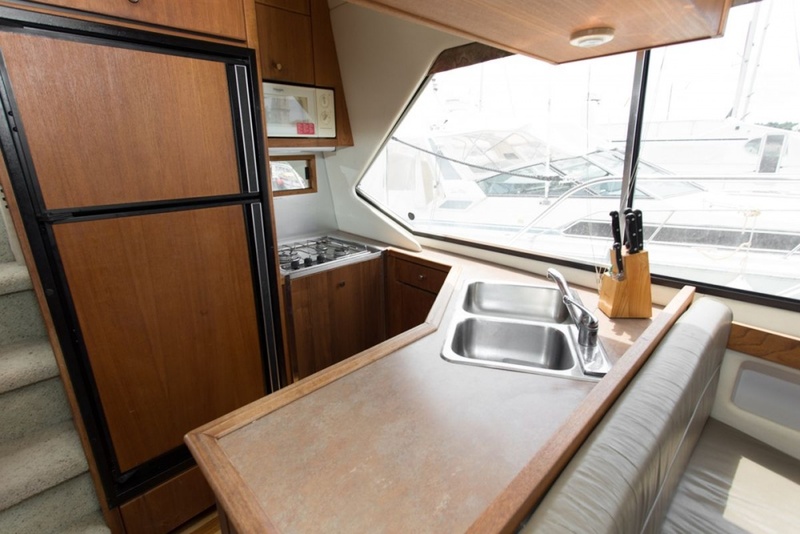 The salon offers an eating table with seating, a couch and a kitchenette with a big fridge with freezing compartment, microwave and a gas stove. 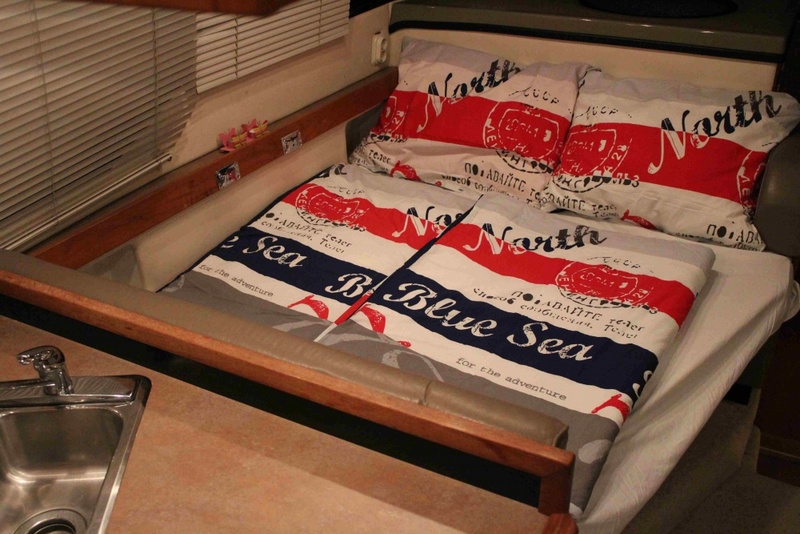 The seating area can be transformed into a comfortable bed. 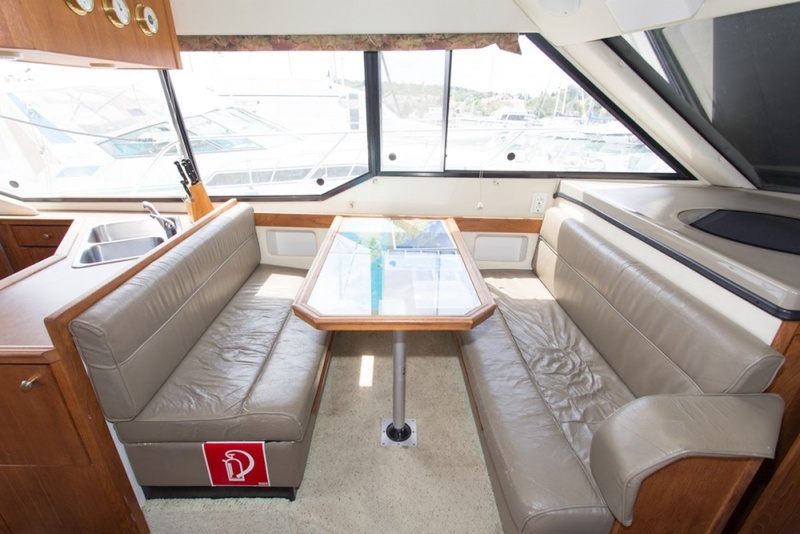 On the fly bridge two conductor seats and a seating and sunbathing area in L-shape are available. 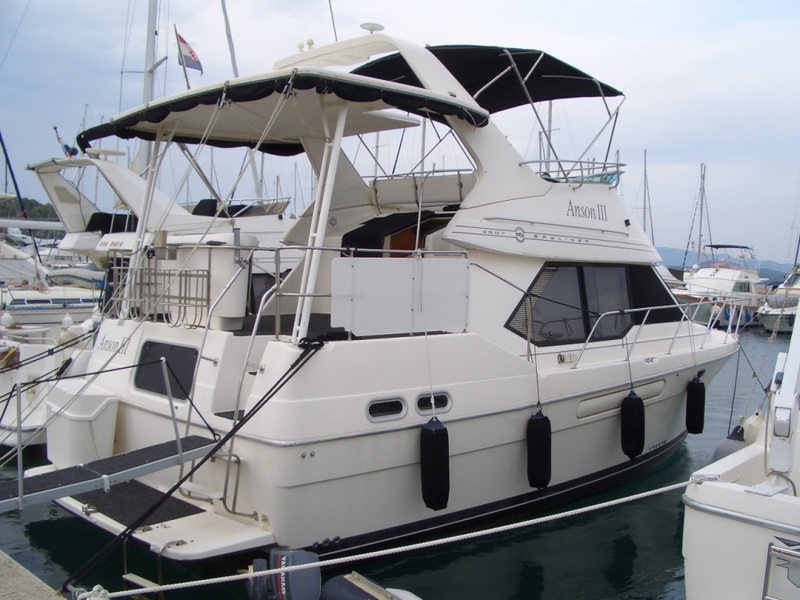 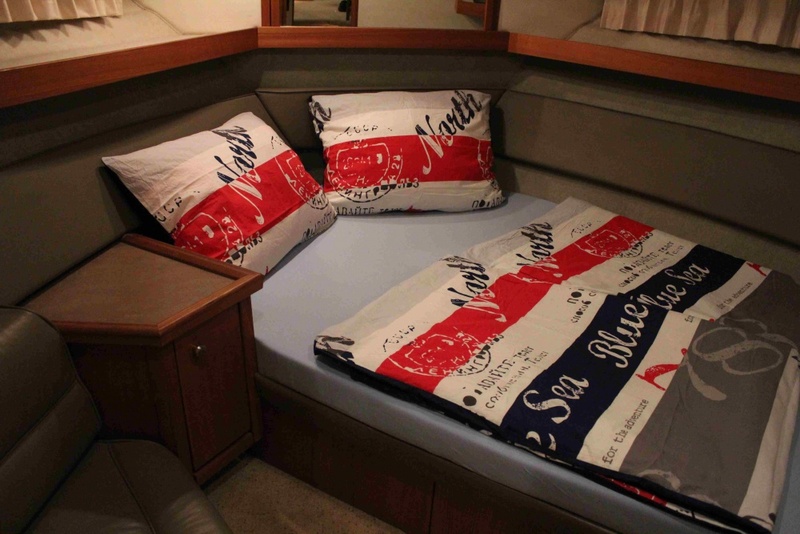 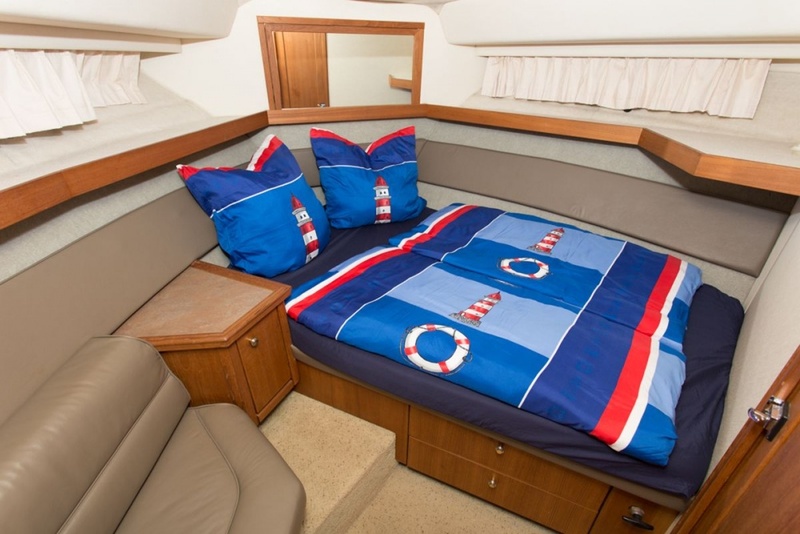 The large bimini deck can be easily converted into a sun screen. 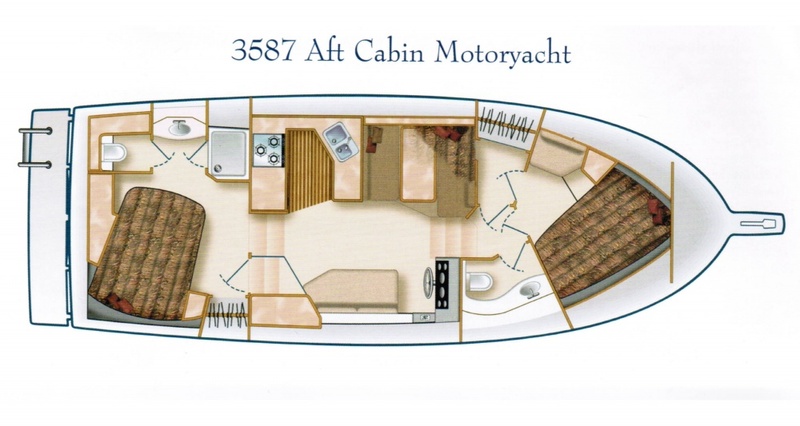 The spacious aft deck is equipped with table and chairs. 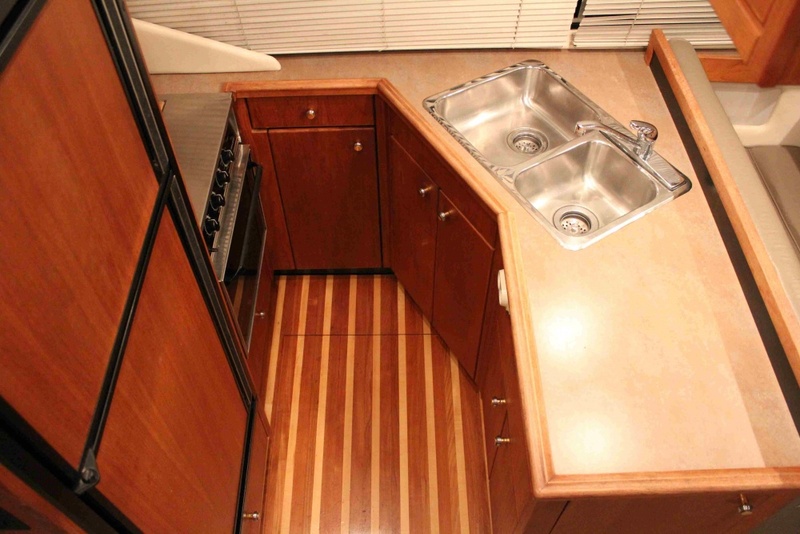 The big bathing platform with bathing ladder offers space for a quick splash in the water for the whole crew. 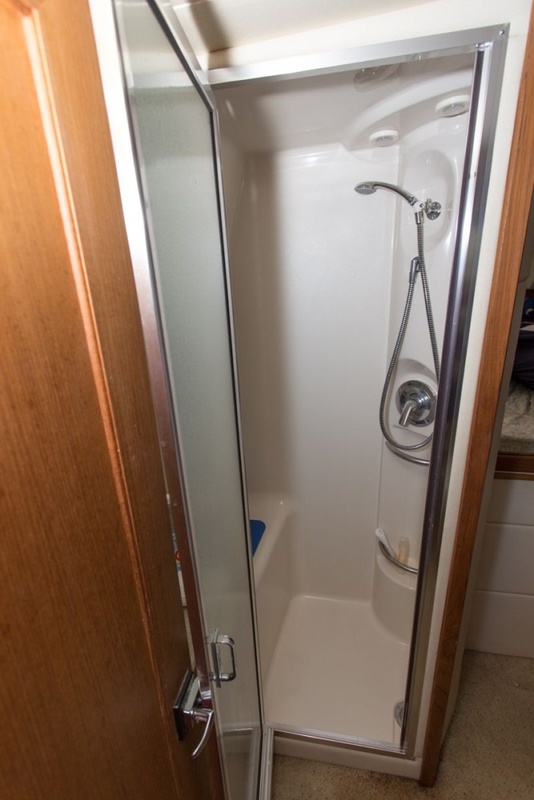 An outdoor shower completes the fun. 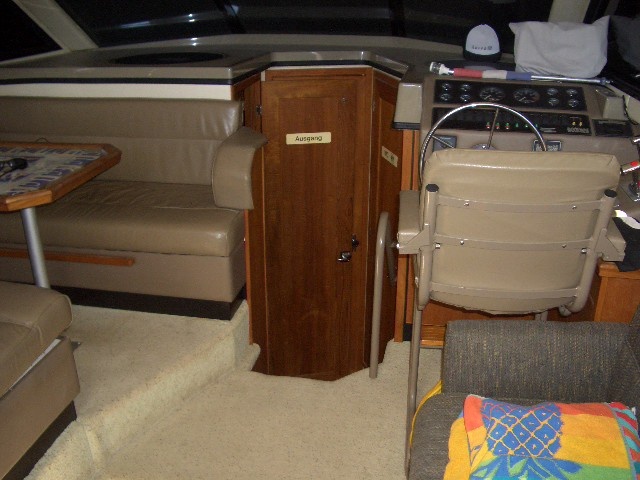 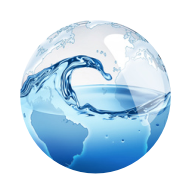 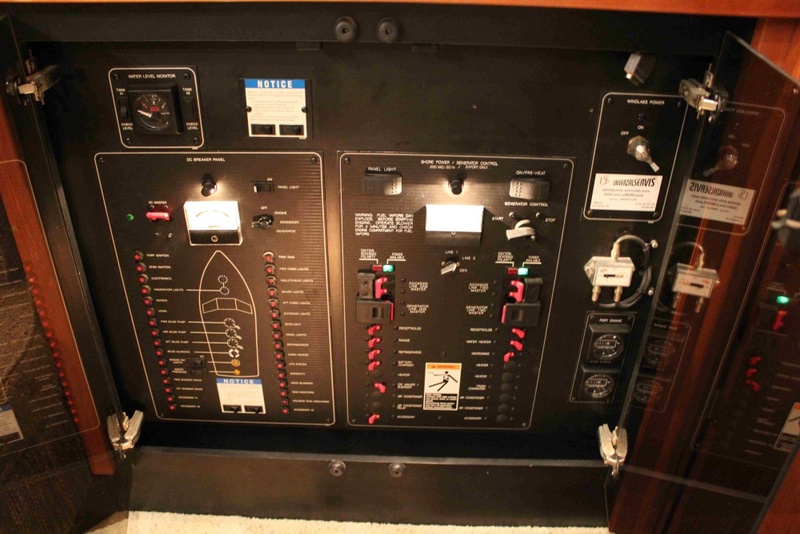 At the bowsprit remote controlled search lights and an electrical windlass are incorporated. 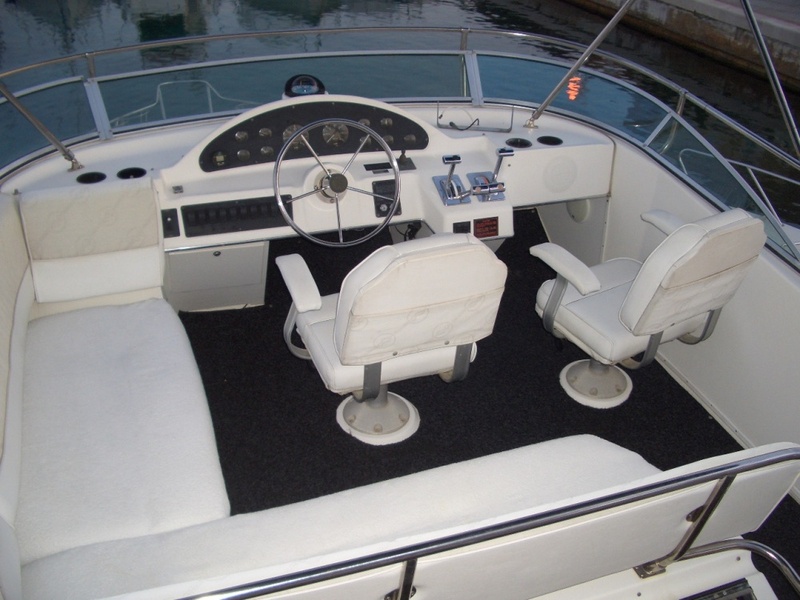 At the bow a padded sun bathing area invites you to relax and enjoy.